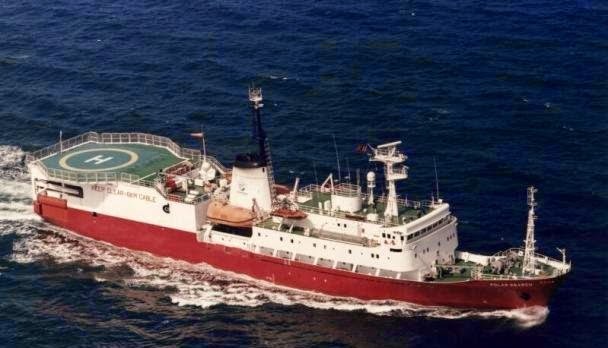 In 1995 on board the M/V Polar Search we started to do full 3D seismic processing using a single HP Apollo 735 Workstation. We had 15Gbytes of disk space, and a 66MHz clock-speed on the microprocessor. For less than $8000 I can now buy a system with 16 cores on the microprocessor, each with a clock-speed of 2GHz - in fact I can order it directly from a website. Seismic processing, by its nature, is “embarrassingly parallel”. We can usually find some way of blocking a problem up trace-by-trace, shot-by-shot, offset-by-offset or in tiles so that we can have multiple computes work on it at once. These days that means multiple cores. In practice, the $8,000 desktop workstation can crunch through seismic processing problems around 485 times faster than the HP735 could! Moore’s Law – named for Gordon E Moore, co-founder of Intel – suggests that computer power should double every 2 years. This was based on the number of transistors you could get onto a chip and since 1965, when Moore suggested this was the case, computer architecture has changed a lot. In the 20 years since I started on-board processing, by Moore’s law we would have hoped to see the computer speed go up by a factor of 210, or 1024 times in total, which makes the factor of 485 seem a little low. However the HP735 would have weighed in at around US$30,000 (US$47,000 allowing for inflation). If you look at what you can get now for US$47,000, this outstrips Moore’s Law by some distance – nearly 2850 times the processing power of that first on-board system. To put that in context, a modern system could process as much data in half an hour as we could process in an entire 8-week rotation, or a whole year’s worth of computing in just 3 hours! Of course, back in 1995 we were stuck mounting 240Mbyte 3480 cartridges to read the field data; meaning the CPU was mostly idle apart from when we were applying (then state of the art) 3D Dip Move Out. The surveys were smaller and we were only using 3x 1500m long cables. Even so, the rate at which computing demands for seismic processing have increased is far slower than the rate at which the cost of processing has decreased. And with disk-space also increasing by a factor of 500 or more, keeping track of hundreds of tapes and standing next to the machine to mount them for each processing run is thankfully a thing of the past too. GLOBE Claritas is the established software choice to enhance your seismic data processing capabilities. It has been developed for over 20 years to match the needs of the industry every step of the way. Our experienced and enthusiastic Support team help you manage and beat your deadlines with clear guidance, comprehensive tutorials, online forums, and valuable video content. Using GLOBE Claritas you can add in your own code (in C, Python or FORTRAN) and create your own modules seamlessly. Use our tools (and your geophysical knowledge) to create entirely new workflows and processes. GLOBE Claritas offers a tailor made solution to suit your unique needs, but will keep giving you that ‘perfect fit’ by growing as your business grows. We achieve this through cutting-edge Cloud services, flexible licensing schemes, routine training cycles and regular content updates.